Now I’m tasting this skin and try to see if there’s something left to be fixed. I want to put some minor improvements. I had thought we don’t need this, but when I edited Zebra without a mouse, I found it’s quite hard to change “Q”, for it’s controlled by right-click. So I added. Dragging small up-down arrow right next to the text “Tune” will shift the pitch by octave. Octave pitch shifting is common in vintage synths like Moog. Of-course Diva has this. So why not in Zebra? 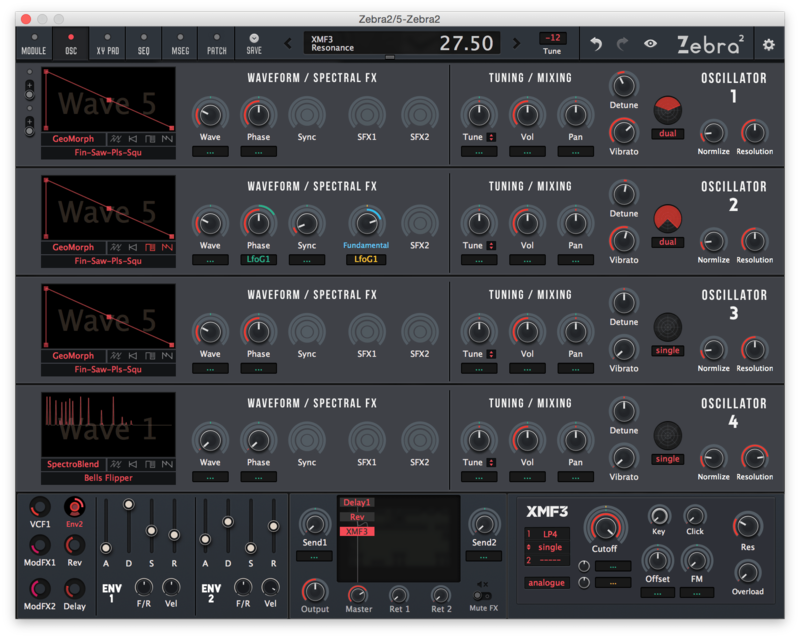 It’s really useful when you layer octave sounds like sub-oscillator. Basically dragging the Mod Source Text itself will change the mod amount. It’s really similar to Massive. It may be clearer than Massive since they show their mod sources by the names, not the colours and numbers like Massive does. Look at the screenshot above. 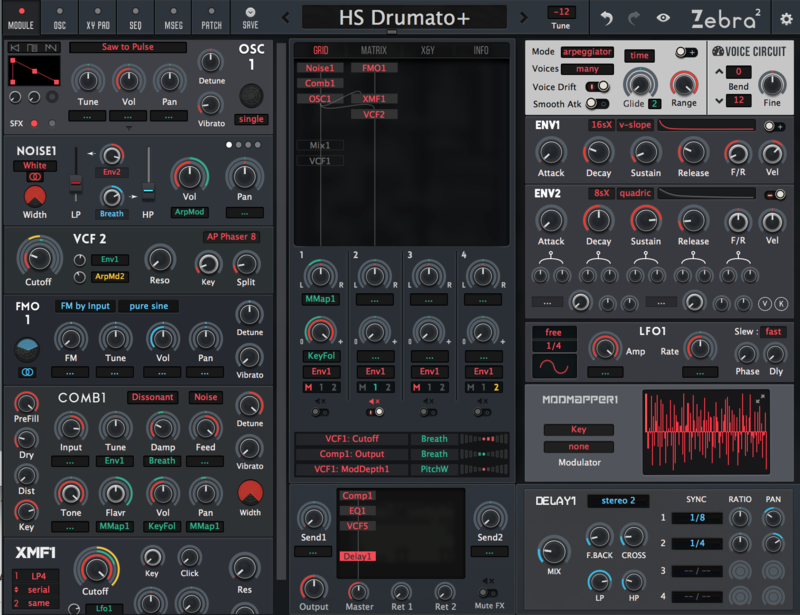 Without mod knobs and inactive knobs being hidden, you only see a small number of knobs, which are quite easy to grab. No one I think will get confused. Though I still need to work with the bottom-left pane (to decide which knob to place), it won’t be long. I’m thinking of raising the price to $20 after the release. I must keep testing this to judge if it worth doing so, but I think it does, for it definitely serves the whole different way of the workflow. I believe it changes almost the half of what Zebra is.